After a week of deliberations a jury has returned a verdict in the patent portion of the Google-Android fight to the death. Google is innocent—it did not infringe on two of Oracle's patents with Android. The lawsuit began in 2010 when Oracle acquired Sun Microsystems, and Oracle sued claiming that Android violated Sun patents and copyrights. Google has all along proclaimed its innocence in the case despite damning evidence to the contrary—including an internal memo from Android founder Andy Rubin that all but acknowledged Google's guilt. The Verge reports Just two weeks ago, the jury ruled that some of Google's code for Android infringed on Oracle's copyright on the "structure, sequence, and organization" of 37 Java APIs as well as 9 lines of code. Of the former copyright violation, the judge has yet to rule whether or not it can actually be copyrighted as Oracle's legal team asserts—that infringement verdict could be thrown out down the line. 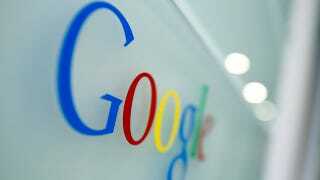 The judge also independently ruled that Google infringed on 8 Java test files.